Turn it on, and watch as it shows off a fabulous multi-colored light show. Plus, this light features a neat feature--it can switch into a mode that makes the light revolve in place. Not only will it get your friends talking about how awesome it looks, it will get them talking about how awesome you must be to have such an innovative lamp. A unique gift for your grandchild or co-worker. 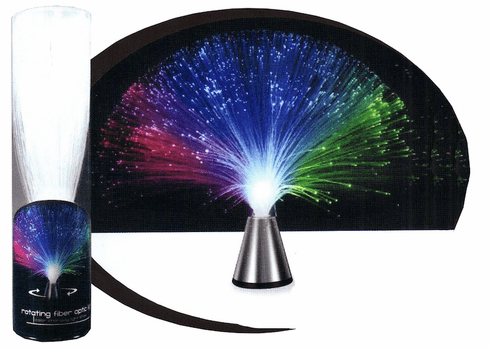 This is also a great item to have in the classroom to teach fiber optic technology in an interesting way! Note: Requires 3 AAA batteries for use. Batteries not included.